When applying the patterns from the catalog, developers will need to consider numerous adjunct design issues. These include issues affecting numerous aspects of the system, including security,data integrity,manageability,and scalability. 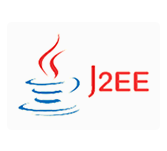 Many of these design issues could be captured in pattern form, as well, although they primarily focus on issues at a lower level of abstraction than those described in the J2EE Pattern Catalog. Instead of documenting each as a pattern,we have chosen to document them more informally,simply describing each as a design issue to be considered when implementing systems based on the pattern catalog. Each bad practice provides a brief problem summary accompanied by a list of solution references. Typically, these references are to a pattern in the catalog,to a refactoring, or to a combination of the two. Each refactoring identifies a simple problem and solution statement,offers motivations for improving the problem,and suggests mechanics for doing so.